Our partners at UAF’s Alaska Native Languages Archive have been tracking current news related to Alaska Native languages and place names with an online blog called Talking Alaska. A review of the content that’s been posted over the last few years will give you a good idea of what’s going on in the state related to Native place names and languages. We Alaskans inhabit a culturally and geographically rich landscape, and place names are the vehicle through which language unites culture and geography. Regardless of whether our ancestors have walked this land for thousands of years or we have just arrived, Alaska Native place names connect us to that landscape…official names celebrate this great land. We should welcome Native names, not fear them. 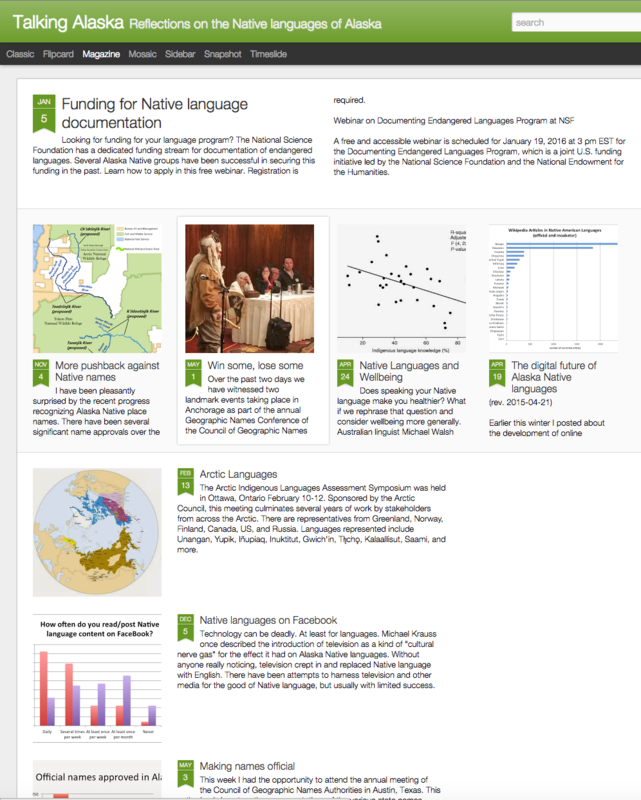 You can find the Talking Alaska blog at the top of our “Educational Resources” page.